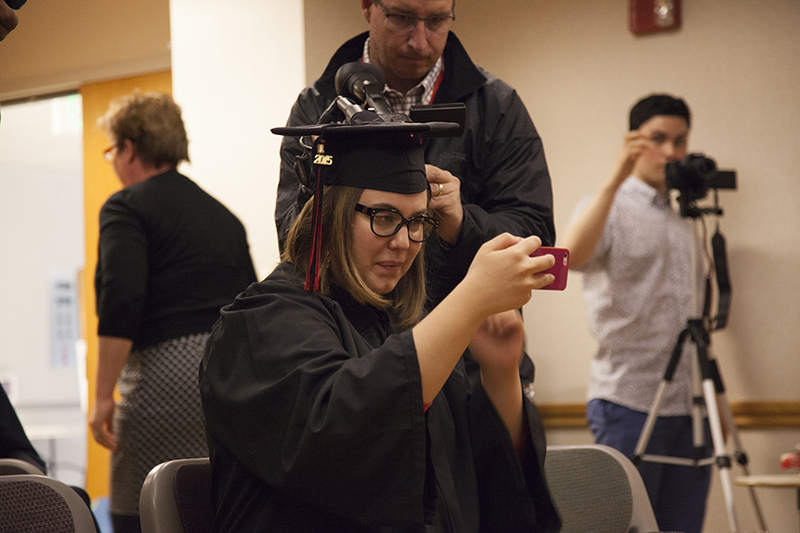 Using her i-phone Alexis "Lexy" Greenwell virtually walked the stage at Grinnell College's commencement. 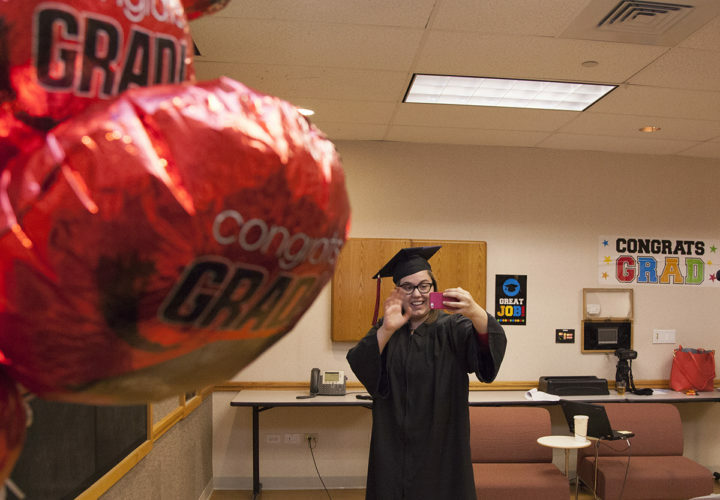 Since its founding in 1846, Grinnell has become one of the nation's premier liberal arts colleges, enrolling 1,600 students from all 50 states and from as many international countries. 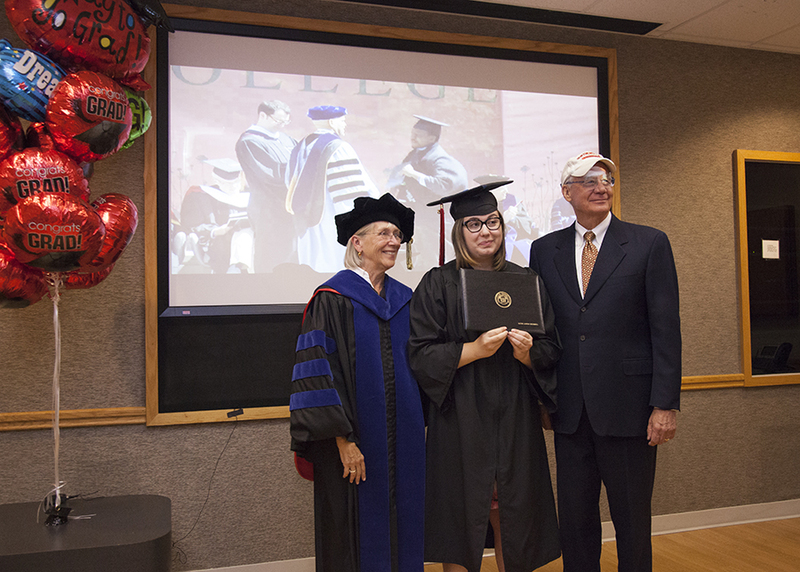 Grinnell's rigorous academic program emphasizes excellence in education for students in the liberal arts; the college offers the B.A. degree in a range of departments across the humanities, arts and sciences. Grinnell has a strong tradition of social responsibility and action, and self-governance and personal responsibility are key components of campus life. More information about Grinnell College is available at www.grinnell.edu.